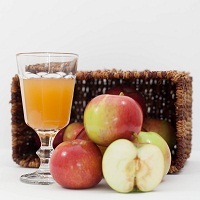 Why are apples and natural cloudy apple juice healthy? Apples and cloudy apple juice contain:minerals, especially potassium, which supports metabolism and the nervous system; secondary metabolism by-products which help preventing cardiovascular disease, boost immunity and reduce the risk of cancerfive times more health beneficial substances than clear apple juice; depending on their variety, apples contain different amounts of nutrients and vitamin C that provide cellular integrity and strengthen the immune system. 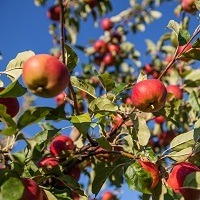 We are often asked about the apple varieties we use for our delicious apple juice. 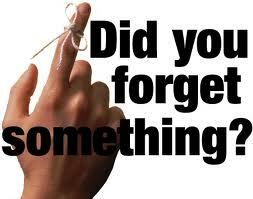 We will not disclose all the knowledge we acquired throughout experience. We can only say that it’s all in the mix! 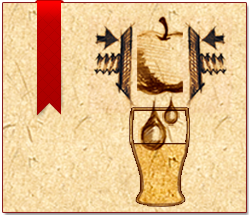 Our cloudy apple juice is made of several apple varieties, both new (contemporary) and old (traditional), as well as some exclusive varieties from the old orchards of Transylvania. Cloudy Apple Juice is packaged straight from the press. For all of our apple juice varieties we use only local fruits and vegetables. 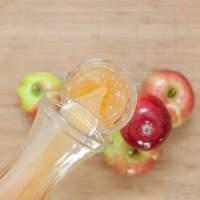 After being pressed, the juice is pasturized, which gives it a longer shelf life. 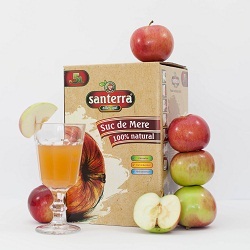 Our cloudy apple juice is packaged in a Bag-in-box system, consisting of a bag and a box. There’s a lot that can be said about the quality of a product, but we prefer to let our natural juices speak for themselves. At the very heart of our activity we place our customers who want a diet that is balanced, healthy and rich in vitamins. Bioterra Cloudy Apple Juices is not only delicious, having a savoury fruity taste, but is also also a very high quality product. Nutrition experts recommend a diverse diet, rich in fruits and vegetables - the easiest way to take advantage of the healthy substances that nature provides. Thus, it`s best to eat fresh fruits and vegetables. But fruit and vegetable juices are also an important part of a healthy diet. The quality and diversity of food is crucial for a healthy and balanced diet. A large variety of fruits and vegetables is an important part of a healthy diet, as they are low in fat but rich in vitamins and minerals, carbohydrates and naturally occurring sugars (fructose and glucose). Vitamins and minerals (eg. calcium and magnesium) must be taken from food because our bodies produce only a limited amount or not at all. The body can convert provitamins from food in active vitamins. Generally, vitamins are classified as fat-soluble vitamins and water-soluble vitamins. For example, vitamins A, D, E, K are fat-soluble vitamins. These molecules are more easily absorbed by your body if they are previously dissolved in fat – this is why you should always add some oil to your carrot salad. The C, B1, B2, B6 and B12 vitamins are water-soluble vitamins and do not need fats to be absorbed by the body. Usually, vitamins are stored in the body for a short period of time only, but with a balanced and diverse diet the body can constantly acquire the nutrients it needs. 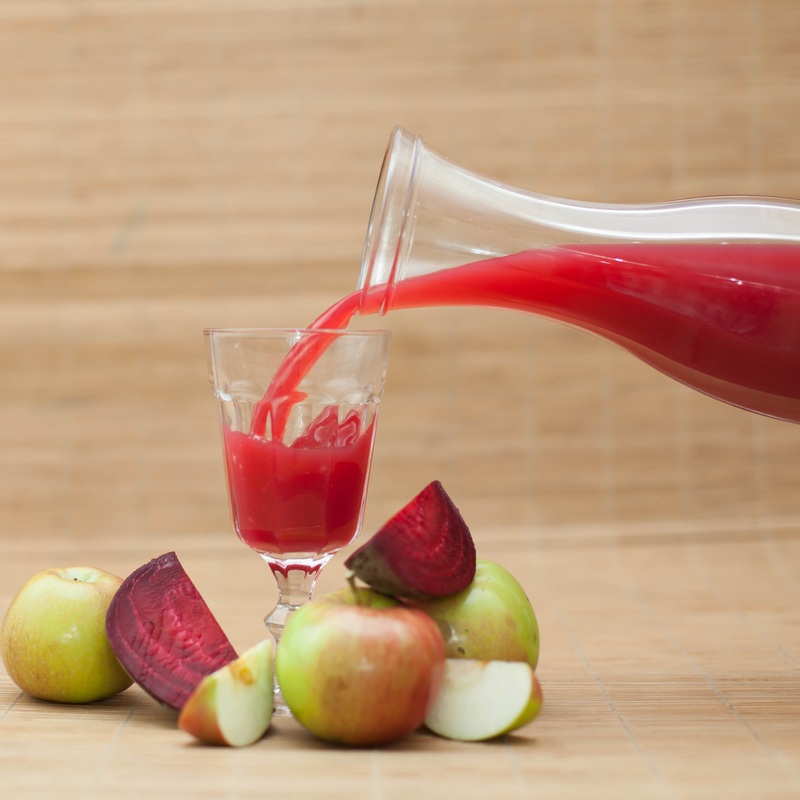 Natural juices are a substantial contribution to a balanced and healthy diet. Apple juice stops memory loss! 2 glasses of apple juice a day can improve blood circulation to the brain, thus preventing Alzheimer's disease. Apples are rich in vitamins C and B, potassium and calcium. Following laboratory tests on mice, researchers from the University of Massachusetts have concluded that in the case of mice who drank apple juice constantly, the Alzheimer disease evolved at a much slower pace than for those who weren’t fed apple juice. The effect of slowing down the evolution of Alzheimer was noticed when mice were fed the correspondent of 2 apple juice glasses in a human diet. Thomas B. Shea and his team have noticed that after only one month of apple juice treatment the beta-amyloid deposits in the brain of mice were significantly reduced. These deposits finally lead to Alzheimer's disease. These results indicate that there is a close connection between diet and risk factors for neurological degeneration that emerge with age, says Thomas B. Shea. Thus, drinking apple juice on a daily basis is a scientifically proved way to prevent Alzheimer's disease!